Climate change is likely to raise more than just the world's temperature — changing conditions in the Western U.S. leading to more and more severe wildfires will raise insurance rates, too. 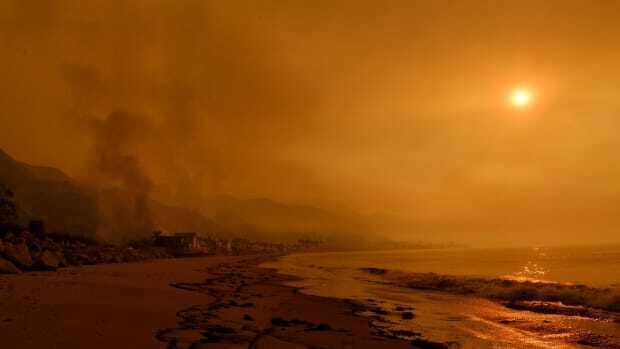 A spate of California wildfires — the most recent of which, the Jesusita Fire, is currently burning in the foothills above Santa Barbara, where Miller-McCune is headquartered — has led officials to declare that the state&apos;s fire season now lasts all 365 days of the year. Although it is too early to know how this extended fire season will affect homeowner and property insurance, it is likely that in the future insurance premiums — in California and other arid Western states-are going to become more costly, and policies more difficult to come by. Studies conducted in the last few years have demonstrated that global warming is causing wildfires in the Western U.S. to occur more frequently, last longer, and cover more ground than they did in the past. A 2006 study published in Science found that since 1986, the number of major wildfires has increased by 400 percent, and the amount of land these fires burned increased by 600 percent, compared to the period from 1970 to 1986. Until recently, it was often assumed that spiking population growth and expanding land-use patterns were mainly to blame for increases in the number of big fires. But the Science study, which was conducted by researchers at the Scripps Institute and the University of California, Merced, concluded that these factors have had "relatively little effect." Instead, the authors wrote, the change has come about mainly because summers have gotten longer, hotter and drier. 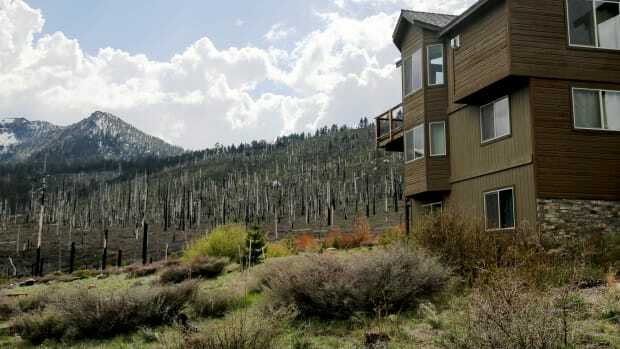 "The transition has been marked by a shift toward unusually warm springs, longer summer dry seasons, drier vegetation and longer fire seasons." The Science study is the most comprehensive look at past fire-patterns to date, but since its publication, it has been buttressed by a number of surveys and climate models indicating that global warming is making wildfires in the West more common and more severe. A recent report conducted by the U.S. 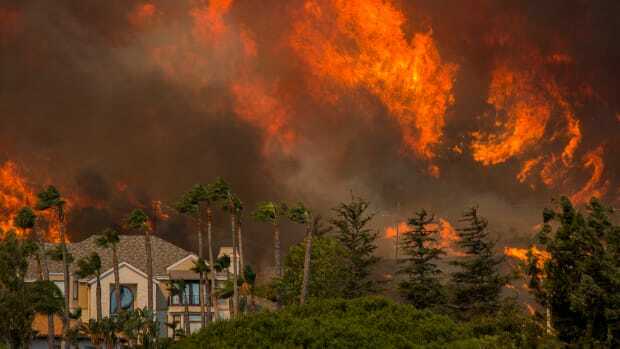 Climate Change Science Program, a federal agency, warned that arid regions (such as Southern California) are "90-95 percent likely" to experience increases in fire risk in coming decades due to global warming. What does it mean for state homeowners if the West is entering-or has entered-a new era of wildfire danger, fueled by global warming? Evan Mills, an energy and environmental systems analyst who works for the U.S. Department of Energy at University of California, Berkeley&apos;s Lawrence Berkeley National Laboratory, answered unambiguously. "With the patterns of extreme weather events becoming more intense and more variable (due to climate change), the actuarial challenge will grow, and this will, in turn, put pressure on prices. It&apos;s a simple fact: As losses rise, so too will premiums." Mills also said there&apos;s a high probability that in coming years residents of Western states will see their deductibles increase, and the upper limits of their coverage reduced, due to the increasing wildfire risk. He noted that insurance companies recognized early on — as early as the mid-1970s, in some cases — the dangers posed by climate change. Their concern has grown more acute in recent years. In recent years, hundreds of thousands of policyholders up and down the Eastern Seaboard have seen their premiums and deductibles skyrocket, or had their plans simply canceled; insurers pointed to an increasing incidence of extreme weather brought on by climate change as justification. Last spring, Ernst and Young, the world&apos;s largest professional services firm, published a study of emerging trends in the insurance industry. After interviewing more than 70 analysts from the around the world, they found a wide consensus that climate change is the greatest strategic risk facing property and casualty insurers. Does such consensus raise the risk of insurers using climate change as an excuse to gauge homeowners in high fire-risk areas? Mills was skeptical. 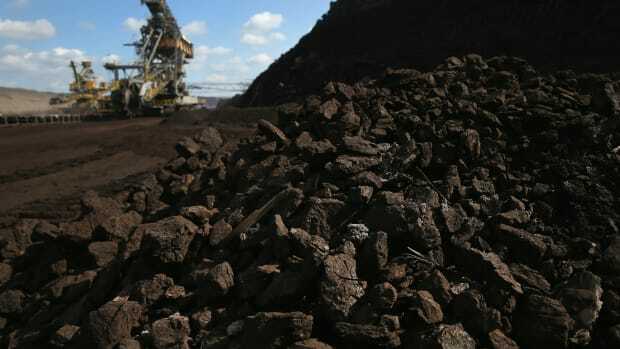 "Are insurers simply fomenting fear about climate change in order to sell more of their product and raise prices? I don&apos;t think so," he said, noting that insurance companies have not been involved in any of the recent studies linking climate change to increasing wildfire risk in the West. Nevertheless, Mills cautioned against alarmism. He pointed out that there are still many insurance companies offering homeowner policies in California and other Western states, and so long as that remains true, price competition will stay stiff. Still, he said, home and property owners, particularly in arid regions like Southern California, should be prepared for rising premiums and deductibles — not to mention more frequent and severe wildfires — as climate change intensifies. A changing climate, increasingly destructive fires, and disappearing insurance policies have left homeowners wondering how much risk is too much. Insurance companies have warned about the risks of climate change for more than 20 years, and it's time for them to walk the walk. Can Insurance Help Californians Recover From Natural Disasters? SB30 has bipartisan support in the state, and also enjoys the backing of Southern California Edison and representatives from the insurance industry. Camels mean cash in Kenya. But severe drought routinely kills off livestock, and families go bankrupt, unless they have an innovative insurance plan. Record-high temperatures continue to exacerbate fire, drought, and other negative weather patterns around the world.